We cater for emergency dental appointments during business hours. We will do our best to accommodate you the same day. We offer preventative and restorative dentistry to families and individuals. We have N2O sedation(laughing gas) for anxious and nervous patients. We do minor oral surgeries. It is not always possible to treat difficult cases, therefor referral to specialists will be necessary. Implants now offer a great alternative for missing teeth and loose dentures. Although we do not place the implants itself, we can do the restorative work on them. Creating beautiful smiles is our business. We use veneers, porcelain crowns and bridges to give you your beautiful smile back. Time to replace your old, ill fitting denture? We cater for all your new denture needs. If you have an infected tooth, we can perform root canal treatment that can save the tooth which would otherwise have to be removed. We are committed to maintaining healthy teeth and gums in all of our patients. 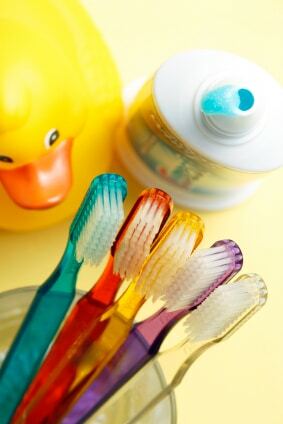 We can show you and your children how to take better care for your teeth to ensure optimal oral health. Teeth Whitening* – Only $99 (Normally $380) with every full check up, clean, 2 x-rays and fluoride treatment. Print this page and present it at your appointment. *Terms and conditions apply- please call for more information. We accept Cash, Visa, MasterCard, and EFTPOS.